Have you ever fallen in love and then had not just your life but your conception of life altered forever? Have you ever fallen in love and then had not just your life but your conception of life altered forever? 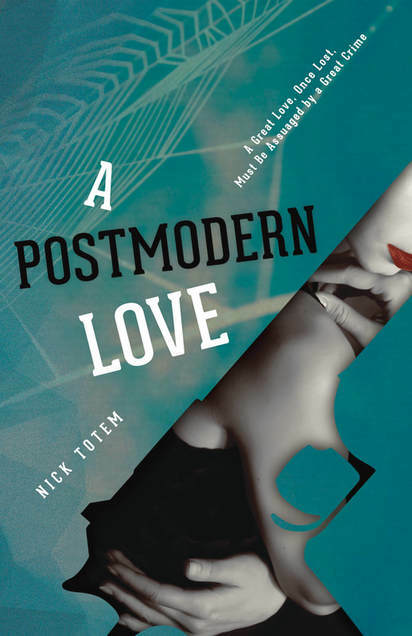 Come and find out more in A POSTMODERN LOVE, a contemporary adult novel–romance, noire, psychological suspense. In the end, a man is shot through the heart. Another man is driven to the edge of madness. Caught between them is Lana Fauves, a beautiful, intelligent woman, but one who is haunted by her past and the loss of her true love, a musical genius. In this fast-paced novel–romance, thriller, and noire–Thomas Wilde, a doctor and veteran of the Iraq War, will stop at nothing to win over the woman he has desperately fallen in love with. But amid the machinations of the modern world, will he find true love, or only heartache, deception, and murder? In this novel we are introduced to Thomas Wilde, a successful ENT physician working in LA. He has quite the past having been to Iraq and returning home not quite the same as when he left. He had been married in the past but his marriage failed due to multiple reasons. He does not seem to have a strong relationship with family and we can see throughout the novel that he has an obsessive personality, which has gotten him in trouble in the past. Lana, our other main character and Thomas’ obsession, is much more difficult to read. She is mysterious, manipulative, secretive and has many layers to both her history and personal life. Throughout the novel, I never knew quite what I should expect from her or what she would do next. Thomas meets her by chance and she becomes an instant obsession for him. He has to know her, to speak to her and to help her. She brings out this different side to him, a side that will stop at nothing to reach his end goal. He is met with obstacle after obstacle and as we turn each page, we unravel more ghosts from Lana’s past. What starts off as an innocent attraction quickly dives into a world of lust, money, power, obsession and murder. This is a well written novel that I enjoyed from start to finish. Lana’s story and her developing relationship with Thomas was a bit hard to follow at times but this is in line with her personality. She only reveals what others need to know when they need to know (or if she wants you to know) and this is how the novel read. I truly enjoyed every minute and didn’t want to put this novel down in fear of missing something. This entry was posted in iRead Book Tours, iRead tour, Uncategorized.